A few coins are still available. Buy now & we'll ship it to you. Hershel "Woody" Williams Medal of Honor Foundation. You can also donate online at this website with a credit card. 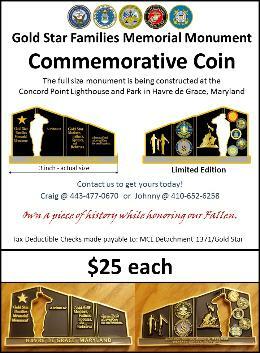 go towards the Havre de Grace Gold Star Families Memorial Monument project.